Seven-time winner of the World Solar Challenge, Nuon Solar, drove their TeXtreme® reinforced Nuna Solar9 car to win the 2017 World Solar Challenge. This year’s race was 14th edition of Bridgestone World Solar Challenge which was held 8th to 15th of October in the Australian outback. Nuon Solar was joined by several teams in this year’s race who also used TeXtreme® to optimize their car’s construction. TeXtreme® Spread Tow carbon reinforcements played a key role in reducing weight, improving stiffness and improving impact tolerance. 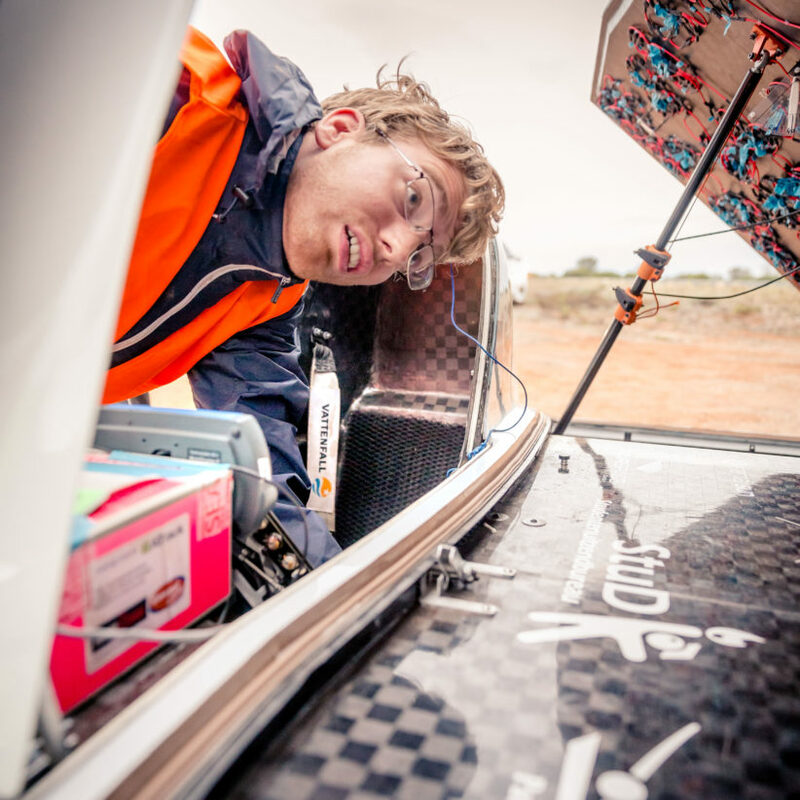 The Nuon Solar Team started in position 4 but took the lead on the first day and never looked back despite mechanical issues along with challenging weather conditions. By partnering with TeXtreme® engineers and Aliancys resin systems, the Nuon Solar team was to create the lightest car of the competition weighing in at only 135kg. “Overall, all the teams and students have been very good at utilizing the unique benefits of TeXtreme® Spread Tow carbon reinforcements and designing composite parts which balance the mechanical properties and weight savings to achieve the optimal results for this race. We are proud to have supported this year’s teams as well as those of the past and it has been great to work with so many talented young engineers doing fantastic work”, says Henrik Blycker, CEO of Oxeon AB. The many years of success across a wide range of teams further establish TeXtreme® as the leading composite reinforcement material when it comes to making lightweight products. 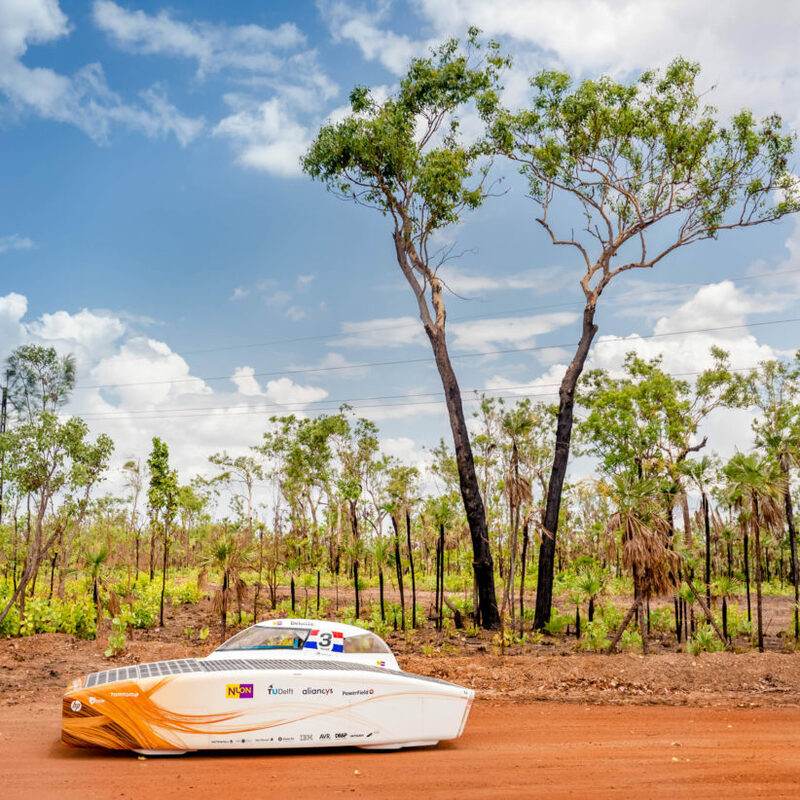 The World Solar Challenge is a solar-powered car race which covers 3021 km (1,877 miles) through the Australian Outback, from Darwin to Adelaide. The race attracts teams from around the world, most of which are fielded by universities or corporations although some are fielded by high schools. The race has a 20-year history spanning eleven races, with the inaugural event taking place in 1987. The objective of this competition is to promote research on solar-powered cars.